Blogging has given me lots of privileges to experience and see things for the first time. 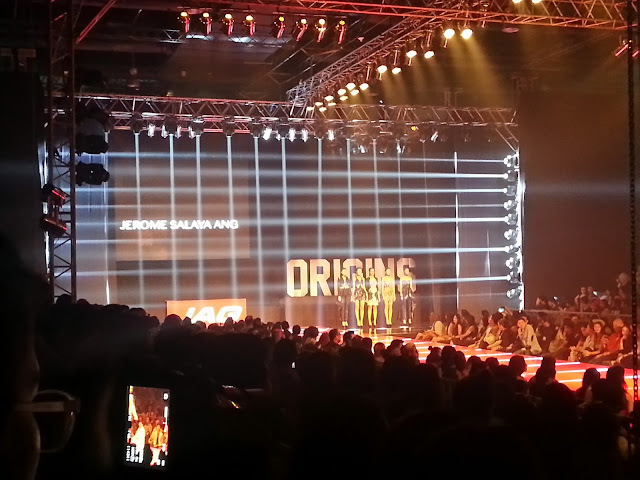 Recently, I was invited to watch JAG's event at the Philippine Fashion Week. I must admit, I was in excitement upon initial receipt of the invite as this is the first time I'd get to watch a "real" fashion show. Models strut their stuff at the ramp wearing the creations of designers Jerome Salaya Ang, Norman Noriega, and Jeffrey Rogador, which was culminated by the launch of JAG's Holiday 2013 collection. The highlight of the night was the introduction of JAG ORIGINS, a series of talks on fashion, marketing and creative thinking aimed at the industry and art/fashion students, and its inaugural speaker Nina Garcia, Project Runway and Marie Claire's creative director. Nina Garcia was interviewed by no less than Boy Abunda. Boy asked questions that truly inspired a lot of budding fashion designers and enthusiasts. Nina share her life and her experiences from when she started, until how she was able to achieve the successes she has today. JAG ORIGINS will be an annual seminar with a panel of key influencers from around the world that are industry leaders and insiders. This annual gathering will be the discussion that inspires Filipino fashion thinking.